Middle East financial analysts say that violent uprisings which have sprung up in a number of Arab countries this year, including Egypt, Syria and Bahrain, have had negative effects so far on most regional economies. 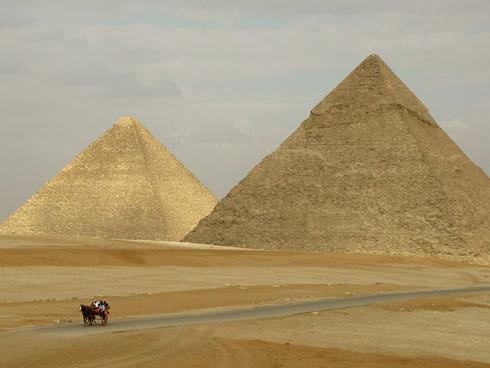 Overseas tourism, a major foreign currency earner, has virtually dried up in Egypt, Libya, Syria and Yemen. Along with growing unemployment and a sharp fall in foreign investment, this has led to nearly 40% of Egyptians telling opinion pollsters that they believe their personal economic condition had deteriorated in the aftermath of the unrest which brought down Egyptian President Hosni Mubarak last February. The International Monetary Fund said growth in Egypt this year will be just over 1%, one-fifth its level in 2010. In Tunisia, where the so-called “Arab Spring” revolts began last January, tourism income has dropped off by 40% even though the country has been relatively stable for several months now. Economic statistics show foreign investment in Tunisia has dropped by over one quarter this year. However Libya is expected to fare better in the coming months as oil production resumes in the war-torn country.